We could expect that about two, three or four Nokia-branded Phones will be launched between December and sometimes next year, but all will be made by Foxconn. According to a release from the company, HMD has signed a strategic licensing agreement with Nokia Technologies, the advanced technology and licensing unit of Nokia Corporation, giving HMD sole use of the Nokia brand on mobile phones and tablets worldwide for the next decade, and cellular standard essential patent licenses.Nokia will no be longer Nokia. HMD said "To complete its portfolio of Nokia branding rights, HMD has conditionally agreed to acquire from Microsoft the rights to use the “Nokia” trademark on feature phones until 2024, and design rights relating to Microsoft’s Feature Phone Business. This transaction is expected to close in H2 2016. 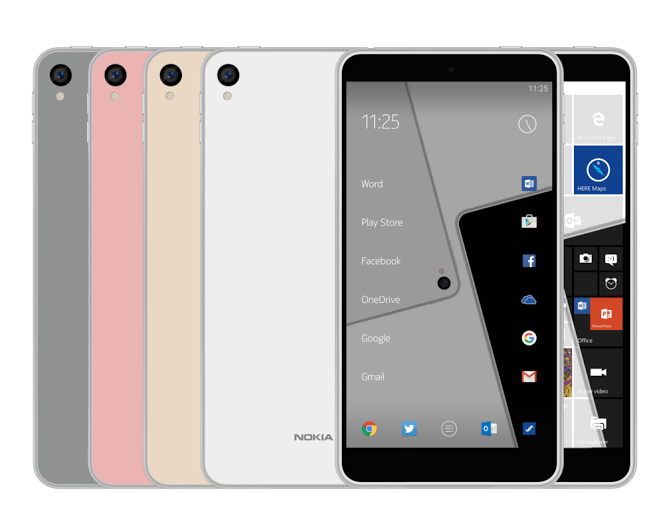 Together, these agreements will make HMD the sole global licensee for all types of Nokia-branded mobile phones and tablets. The remainder of Microsoft’s feature phone business assets, including its Hanoi manufacturing facility, and global distribution, fulfilment and supply chain networks, will conditionally be acquired by FIH Mobile Limited (“FIH”), a subsidiary of Hon Hai Precision Industries (trading as Foxconn Technology Group). HMD has signed an agreement with FIH and Nokia Technologies to establish, on closing of the Microsoft transactions, a collaboration framework to support the building of a global business for Nokia-branded mobile phones and tablets. This agreement will give HMD full operational control over sales, marketing and distribution of its Nokia-branded devices, with exclusive access to the pre-eminent global sales and distribution network to be acquired by FIH from Microsoft." OK, enough of the details. One of the phone, named “D1C” is said to be a solid midrange device, with 3GB of RAM, and Android Nougat 7, with Qualcomm Snapdragon 430 octocore running at 1.4Ghz. Chances that Nokia would make a great comeback is hanging on these would-be “new Nokias”, if they can convince customers that the branded phones have the same or better durability and support like the Former Nokia. If only they can stretch to maintain the 'built reputation' that Nokia has for strong phones while keeping the costs down, it may be another spring for Nokia.